Having Product Liability Insurance Is A Must!! It seems like every day there hundreds and hundreds of new products being launched around the country with no end in sight. Quite a few of these new and exciting products come from companies based right here in Clark County, NV. If you are starting your new venture or have been in business for years, whether your company manufactures, designs, distributes, or sells such diverse products as medical devices, home-based products, nutritional/heath products, beauty & cosmetic products, sporting goods products, consumer products, snack products, food products, clothing products, infant/children products, or one of the additional thousands of products that are marketed and sold across the globe each and every day, acquiring a Product Liability Insurance Policy is an absolute must to protect your company should a claim or lawsuit be filed against it. When the discussion starts about product liability insurance in Las Vegas with a potential new client, in almost every case, they will inform us that their product is such a low risk category, that they could never imagine anyone filing a claim or lawsuit against them regarding their product. One thing we have learned over the many years of doing this, is that you never ever say never. Things do happen and lawsuits and claims are unfortunately a part of doing business. For any company that has a product in development with plans to either become either a retailer, manufacturer or distributor, having a Product Liability Insurance Policy is very important. Regardless of what role your company will take in the product cycle, if a customer believes that the product they purchased did them harm, they will target all the companies associated with this product, which could cost your company serious monetary damage should a claim or lawsuit be filed, as well consuming an enormous amount of your valuable time. This legal concept is known as a stream of commerce and it governs product liability in most states. This type of legal concept means is that any business that has any involvement in placing a product into the commercial stream could be held liable for a defect, which in turn, exposing the company to the risk of paying damages for the defect. If a consumer were to be successful with their claim, they may be awarded punitive and compensatory damages, any medical expenses, and in addition their legal fees. Production/Manufacturing Flaws: This type of claim mostly involves a product that is defective as a result of the company’s production process, thus making the product unsafe. Defective Instruction/Warnings: I am sure that you have noticed some of the warnings that have been placed on the side of products and comment to yourself, isn’t this just common sense? Well, the reason for these warmings are because of the potential dangers a customer could suffer using this product in the wrong way. With these this types of claims and lawsuits being filed more frequently, you are seeing why more companies now putting very detailed warnings on their products. Design Defects: When talking about this type of claim, it usually refers to how the product was designed in the first place. A common example of this type of claim would be automobile manufacturers. Please be aware that even if you company has done all it could to take every reasonable precaution, things do happen which could harm a customer, your company could be held liable, hence the need for a Product Liability Insurance policy. In acquiring a Product Liability Insurance Policy, the insurance carrier in Las Vegas has a duty to defend your company in the event of a claim, covering the costs to investigate the claim and pay out any judgement or settlement that be made against your company up to the limits of the policy. You should be aware that with this type of policy, there isn’t a standard rate table due to the fact these policies are based the specific type of product you distribute, market, or manufacture. If your company’s product presents a low rate of harm or damage to the consumer generally have a lower premium and those products that pose a much higher risk to the consumer will require a larger premium to compensate for the risk. 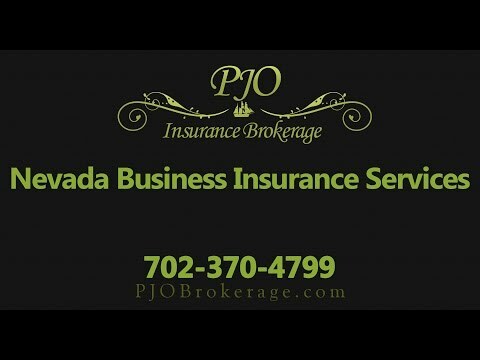 Whether your company is developing/manufacturing a product, distributing a product and simply selling a product, PJO Insurance Brokerage in Nevada has access to top notch insurance carriers to develop a comprehensive insurance plan to suit your product liability needs. We would welcome the opportunity to work with you company. Call us today!